Water: How Can It Benefit You? Improves Energy: Water is actually a great way to stay energized and to reduce fatigue. Our brain is actually mostly made up of water. So by drinking plenty of water and staying hydrated on a daily basis, you can actually improve your focus, concentration, and energy levels! Maintains a Healthy Weight: Water can be used to lose weight or to maintain your weight. By drinking water before eating, you will fill up your stomach. This will reduce the amount of food you eat and can also improve your metabolism, which is very important at an advanced age. Better Moods: Drinking water can actually improve your moods! When you are feeling great, energized, and healthy due to staying hydrated, you will also feel happier. Headache Remedy: Drinking water is a good way to prevent and relieve headaches, migraines, and other bodily pain. Much of the pain you feel or many of the headaches you experience are caused by dehydration, so by drinking plenty of water, you can reduce the frequency of these pains. Better Skin: We are 60% water! So by drinking plenty of water you can improve your skin’s health and complexion. By staying hydrated, you will notice that your skin is smoother, softer, and moisturized. It can also help reduce wrinkles and keep you looking young. 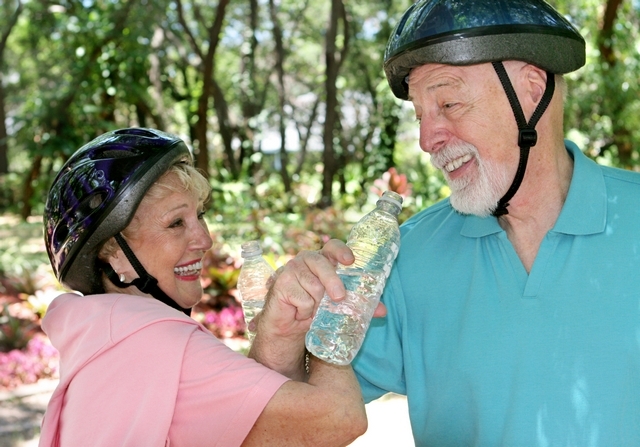 And at our non-medical home care in Winter Haven FL, we will make sure you are drinking plenty of water. Those are just a few of the many benefits of drinking water. So keep yourself hydrated in order to continue feeling and looking young! If you would like to find out more about this or about our home care services and companionship care in Florida, please feel free to get in touch with Compassion Home Care anytime. This entry was posted in Senior Health Care and tagged Better Moods, Better Skin, Caregivers, Companionship, Headache Remedy, Healthy Weight, Homecare, Improves Energy, Personal Care, Water. Bookmark the permalink. Learn more success stories from the hearts we’ve touched.